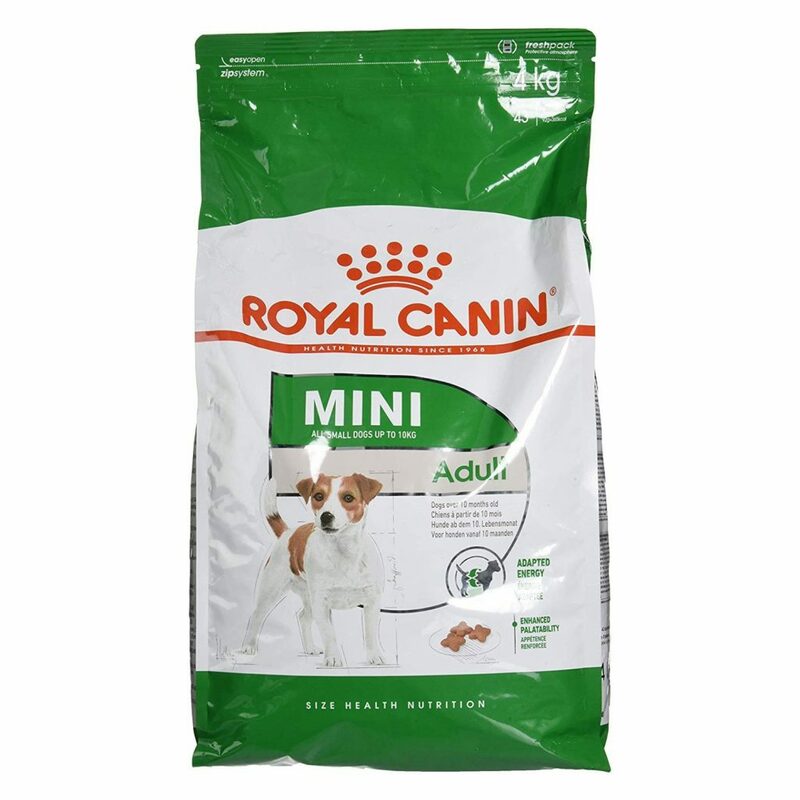 • APT FOR SMALL BREED DOGS- Royal Canin Mini Adult Dog Food is apt for Dogs of Small Breed. • SATISFY FUSSY APPETITE- This Dog Food enhance palatability with exclusive flavours to satisfy the fussy appetite of Small Breed Dogs. • MAINTAINS DENTAL HEALTH- The Product is a proven Kibble Technology that reduces the formation of tartar and maintains the dental health of Dogs. • IMPROVES SKIN & COAT- The product contains ideal levels of EPA-DHA that helps in improving Skin and Coat of Dogs. 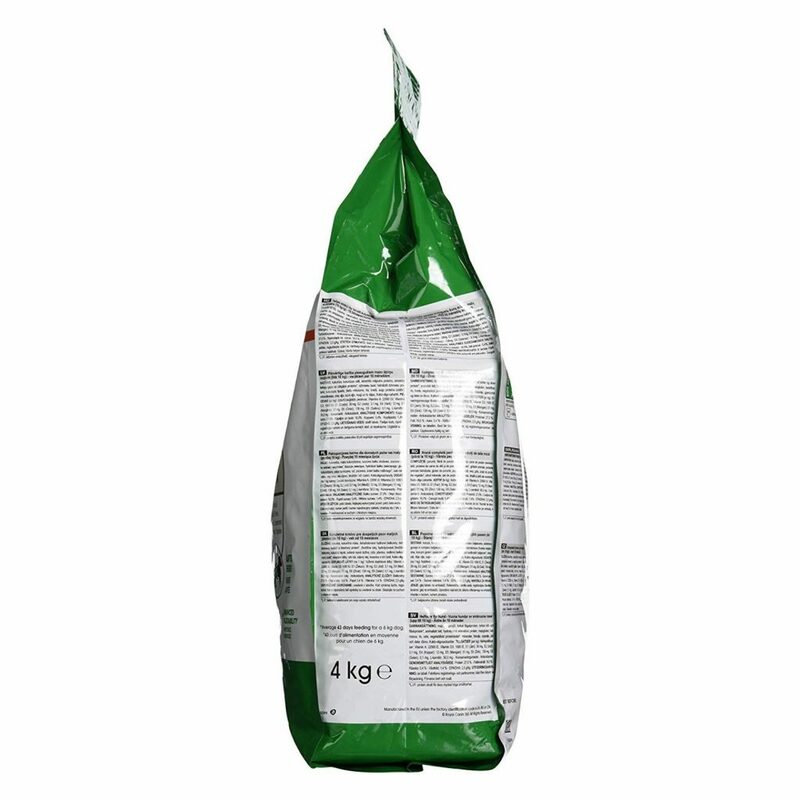 • MAINTAINS ENERGY LEVEL- This Dog Food is an assortment of all essential ingredients that helps in maintaining the high energy level of Small Breed Dogs. • PROMOTES GROWTH- This Mini formula is designed to meet the specific needs of Small Breed Dogs to promote growth throughout every stage of their life. 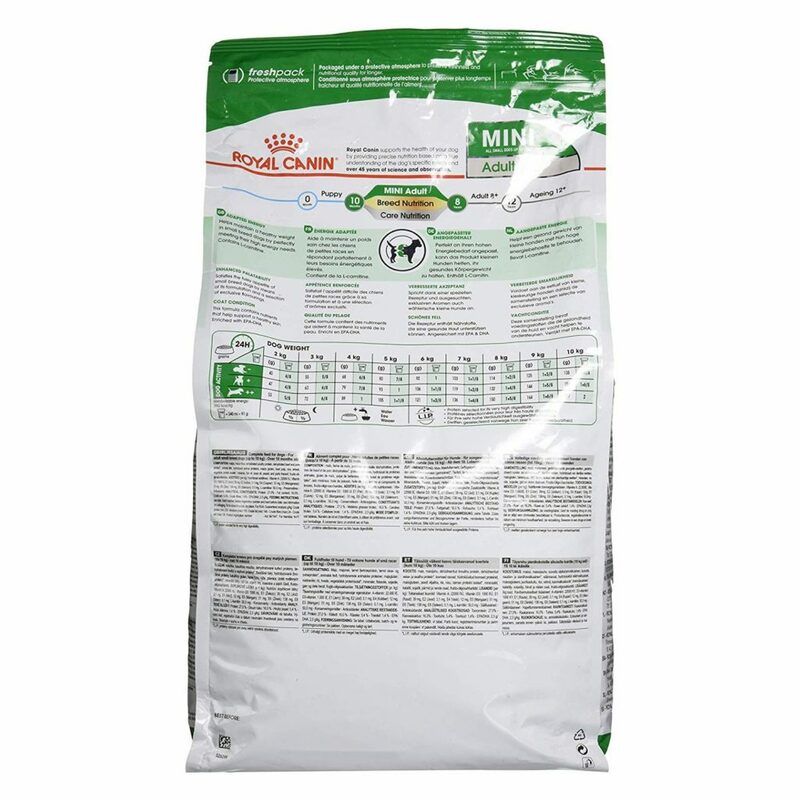 Royal Canin Mini Adult Dog Food is such a formula that is apt for Small Breed Dogs to satisfy their fussy and finicky appetite. This Dog Food is a proven Kibble Technology that helps in maintaining Dental Health, as it removes the formation of tartar. The Product contains ideal levels of EPA & DHA that helps in improving Skin and Coat of these Dogs. The food is an assortment of all the essential ingredients that helps in maintaining both energy level and healthy weight, and also promotes growth of Small Breed Dogs, as they have a shorter and more intense growth period.